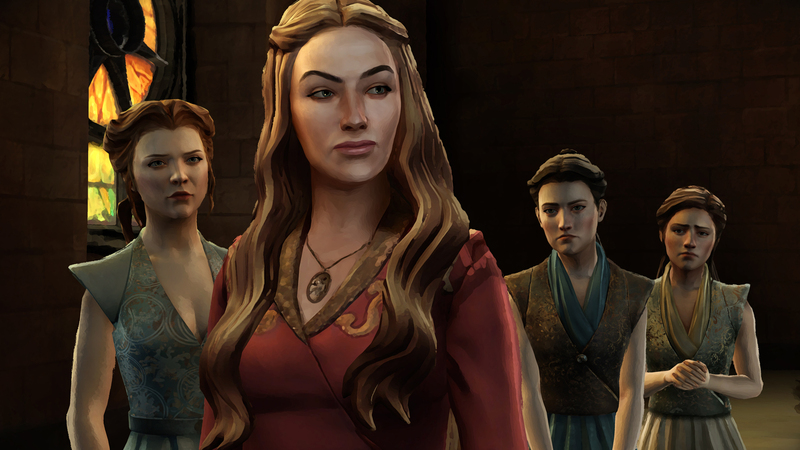 These words close out the third episode to TellTale’s Game of Thrones game. The Sword in the Darkness picks up where The Lost Lords left off, continuing the story of House Forrester. 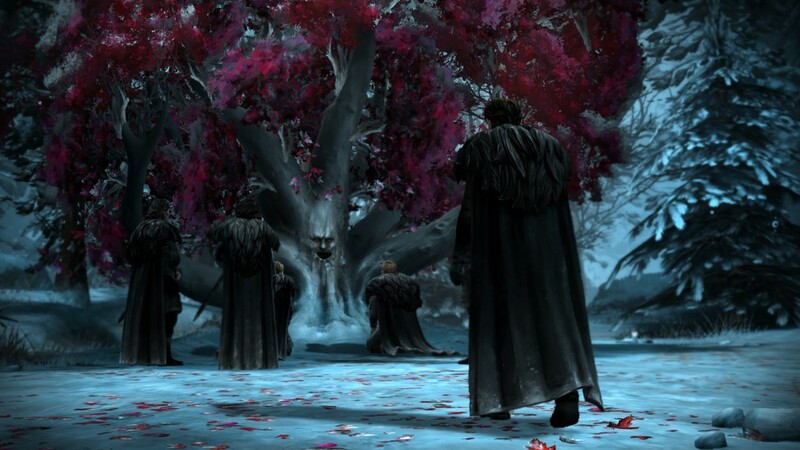 The Forrester clan is an interesting batch because, like the Starks whom they have pledged their loyalty, are often choosing to be proud, brave, and honorable over practical advantages against their adversaries. This particular episode is full of political intrigue and the dynamics rustling underneath the broader narrative in the ever-popular Game of Thrones universe. 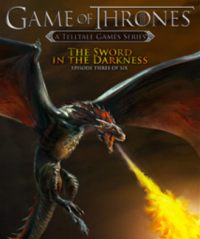 If you haven’t seen Game of Thrones on HBO or read the books, this game is unlikely to interest you. As with all episodic games, especially those developed by Telltale, their quality is contingent on prior knowledge with the source material. Being the third of six episodes, The Sword in the Darkness is especially reliant on a knowledge of the characters and also the circumstances in which those characters exist. There are several key events which have shaped the season so far and they continue along well, but if you have not played either of the first two episodes it would make no sense for anyone to start here. From the explosive and surprising first episode to the subtle and intriguing second episode, The Sword in the Darkness ties up a few key events and reintroduces favorites from the television series into the game world. 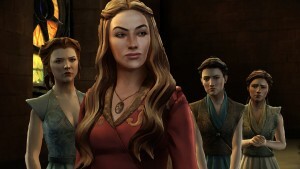 Of course this is exciting for anyone already invested in the franchise and especially this season of the game, but unlike Telltale’s The Walking Dead series Game of Thrones hardly stands on its own. Very broadly speaking, this season of the game is following a rather interesting narrative arc. We have a house unexplored in the television series and it offers a particularly unique view into lower house dynamics and politics. Instead of the typical arrangements of Starks, Lannisters and others competing for the actual crown, we have their lower pledges battling over resources, station, and political capital. It is a much more interesting narrative than one would realize if they were not familiar with the general political economy of the Game of Thrones universe. Because of these dynamics we are given a fresh take that the television series simply does not cover, whether that is by choice or by necessity. Particularly, the Forrester household is an exciting one to follow because they actually seem good compared to many others in the universe. Where King Joffrey, Theon Greyjoy, and even Rob Stark were petulant children demanding glory for the households, we are offered a much more subtle and relatable set of characters in the Forrester clan. They know their station does not allow them to compete for the highest honors, so instead they are focused on doing what is actually right for the family and not merely themselves. Oftentimes this gets them into trouble, as their house is on the decline, but other times it still yet proves to be a noble pursuit and a valuable look into other dynamics rarely seen in this world. If you have already played the first two episodes, there is no reason why you shouldn’t continue with this one. It is just as good as the former two were and has several highly memorable moments that will surely be highlights in the broader season. That said, if you were not totally convinced by the first two episodes this one will not do the series any favors because it is generally more of the same. 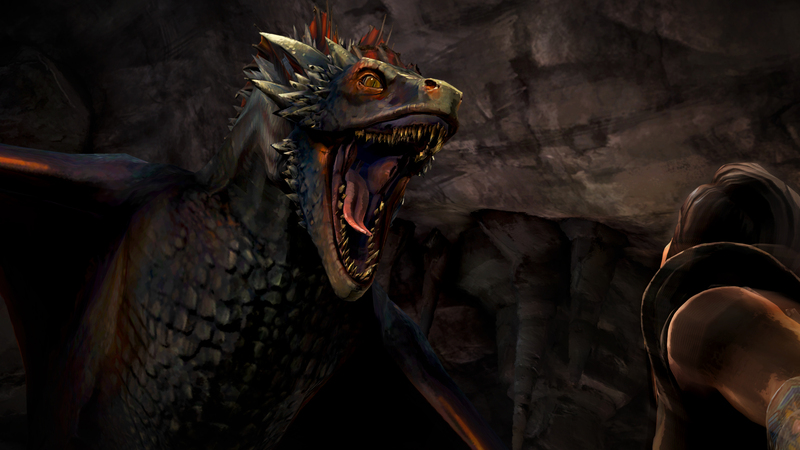 It is exciting when favorites from the main narrative of the show or books pop up in the game, but that gimmick wore out slightly after the first episode. We still have yet to see any moment nearly as surprising as the end of the first episode, which makes it hard to think of this first season of the game as being in the same league as the show. Even with that in mind, there is no denying that the feel and storytelling is similar enough that it least keeps it patterned similarly enough and will satisfy most fans. 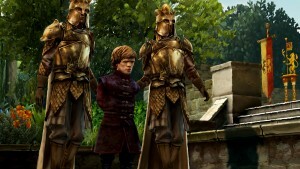 It is more whether or not they can add a little extra punch to the rest of the narrative that will keep it not only fun and fresh for the fans of the series, but also give them reason to believe the game is a viable media counterpart or complement to the already outstanding television program. In all, The Sword in the Darkness is fine in every way, it is just not going to change anyone’s minds one way or another. It is merely the middle of the season and already much has happened. If they can continue the momentum building for some of the main narrative arcs, it will be an exciting way to bring the first season to a close. But even with that in mind, there’s something sort of weak when compared to the broader narrative in the main series. Then again, weakness is one of the key themes explored in this season and that, to be sure, is one of the most intriguing aspects. Onward to the next episode! 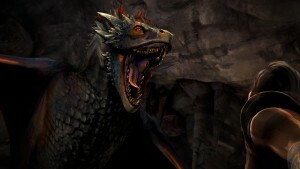 The PlayStation 4 version of the game was provided to the reviewer, who completed the episode prior to beginning this review.